Accepting credit cards cost money for a business. That is likely the the main reason a business might not want to accept credit cards. It costs somewhere between 2% and 5% and there are many reasons for the wide range of cost. If you work with a good payment processor, you’ll be able to keep the cost as low as possible. Now, there are several important reasons why businesses will want to accept credit cards. This is a big reason. Businesses, in general, tend to see around a 20% increase in sales when they offer their customers the ability to pay with credit cards. Some customers will not even shop at stores that don’t accept credit cards. Customers generally like to credit cards for convenience, ability to delay cashflow, and reward points. When a business accepts credit cards, there is a credibility factor that comes with it. Particularly if the business has a merchant account. The process of getting a merchant account means a bank did underwriting on the business and states it is credible enough to have a bank credit. This credibility tends to increase with the number of types of credit cards you accept: Visa, MasterCard, AMEX, etc. Cash flow improves businesses, especially for those businesses that only use invoices and checks. Checks bounce and invoices take time. With cash, there is waiting in lines to deposit the money into the bank. When a customer pays with credit card, it is deposited into your bank account within 24 hours. You get your cash faster which means better cash flow. Online business is done through credit cards, at least 90% of online business. Credit cards is how customers pay on the internet. If you want to start an online shop, it will be very difficult to grow without accepting credit cards. Customers that pay with credit cards tend to purchase more than customers that pay with cash or check. Signing up to accept credit cards is a simple process. 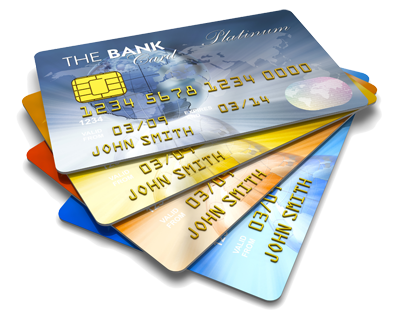 Quite often you will be auto-approved and you could be accepting credit cards within 24 hours. It is not as complicated as you might think, especially if you have a good merchant services provider. Sign up to accept credit cards now. Here’s a guide to choosing the best payment processor in Canada. ← What is interchange plus in payment processing?